Hot off the press. subscribe and become a follower to Red Curbs and I will send you a free sticker. 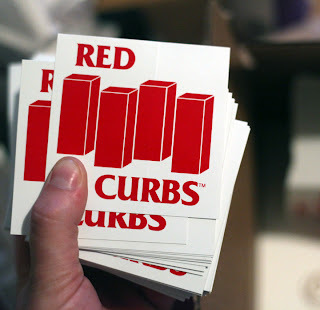 Click the links to join as a follower then email your mailing address to redcurbsblog@gmail.com.